The online world is here to stay and it’s vital that all businesses embrace digital media to help market their company. However, many people forget how important it is to market their business offline as well, whilst for others it is still the number one way of promoting their services. 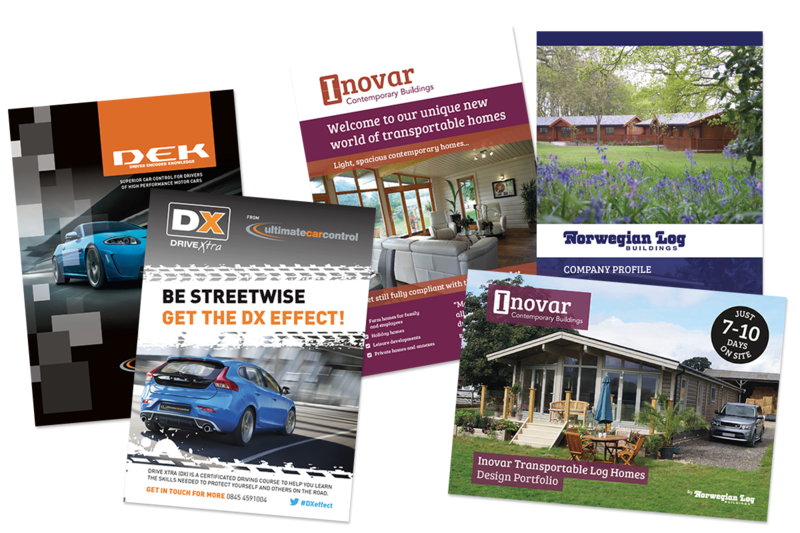 Printed collateral helps show potential customers that your company is legitimate, and with well thought through targeting and great design it will communicate your message to your target audience to help secure those all important sales. A company brochure is still first choice for many professional businesses as it generates a feeling of trust and a strong impression of stability, and leaves a lasting impression. You can clearly control the marketing message and promote your brand, products and/or services, and good design and quality content really attracts and captures the reader. With the improvements in digital printing you no longer need to have huge litho runs of thousands of brochures to make them cost effective, with small quantities and even single individually tailored copies now feasible. Even with tight budgets it’s important to keep communicating your message else you may get forgotten. This is where leaflets come into their own. Printing a leaflet is inexpensive, allowing you to focus on good design, so it is an effective way to get a message out to potential customers and of reminding current customers what you can offer them. 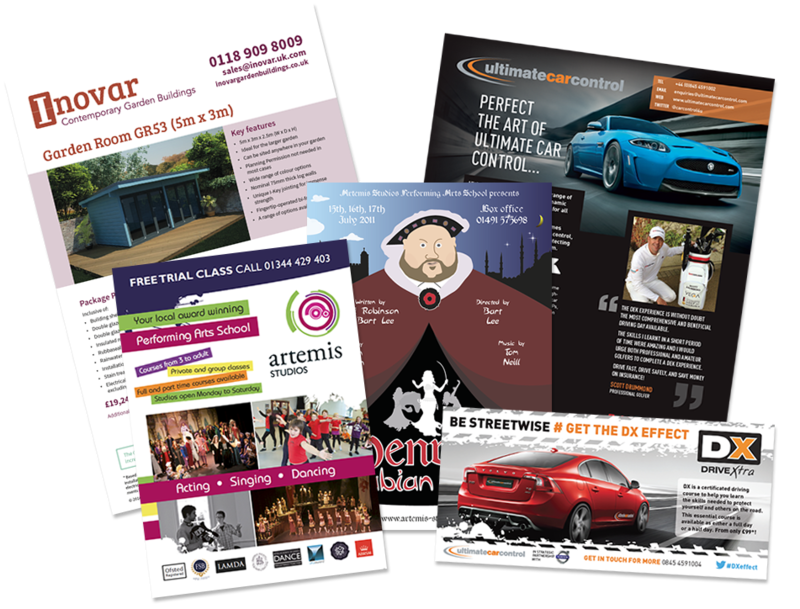 Regardless of the type of business you are promoting, printed leaflets is one of the most cost efficient and probably one of the best ways of getting your business to a mass audience. Flyers are generally used for promotional advertising purposes. Whilst taking their name from mass distribution via being dropped from a plane back in the day, nowadays you can still easily hand them out in high-traffic areas where a lot of pedestrians stroll (be that in the street or at a corporate event like an exhibition). Best focused on a clear message and clean and simple typographic design, with A5 flyers being the favourite size as its a very versatile, cost-effective to produce, and easy for consumers to take away with them. Magazine adverts, newspaper adverts, posters, adshells and billboards are all popular forms of printed advertising for all sizes and types of business. Whoever you are you want people to see you advert, and those that do will judge you on the quality of your promotion, both in terms of message and design. Don’t leave it to the publication to create an advert for you, make sure you get one professionally designed to ensure your advertising spend has every chance of succeeding. The most obvious of all printed marketing collateral is stationery. Your stationery (e.g. business cards, letterhead, compliment slips, invoice forms etc) is an integral part of your brand and should reflect who you are, what you do and how you do it. From the simple clean and professional to imaginative concept driven, approaches vary but to ensure you stand out from the crowd ensure your stationery is bespoke to you and not off-the-shelf. 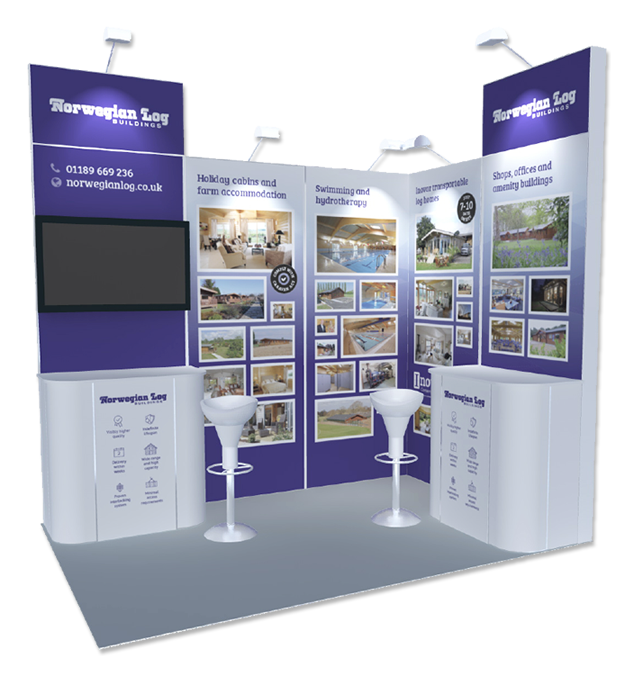 Exhibition stands and display/pop-up banners are great tools in the physical world. Signage, of all natures, is important to help you communicate who you are, where you are and what you do. Be it a roadside pavement board, banners, pop-up stands, vehicle/wall decals or building signage (internal or external) then I can help. Whatever your design requirements, big or small, one-off or regular, Synthetic Egg can help. 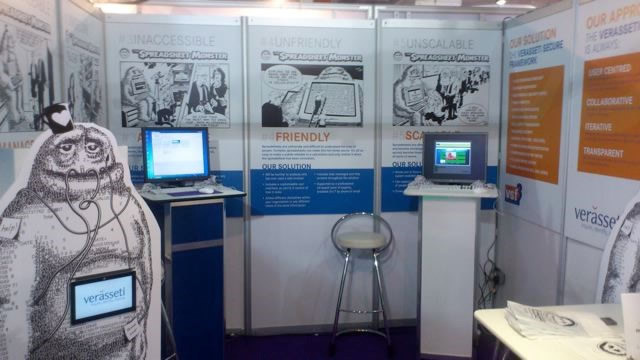 Get in touch today to discuss your graphic design requirements.